Every person’s cancer journey is unique, but there are certain steps along the way that almost everyone with head and neck cancer and their loved ones will experience. The diagnosis phase will include testing, several doctor visits, lab work and more. During diagnosis, your loved one will find out what type of cancer it is, where the primary tumor is located and whether it has spread to other parts of the body. Then the care team will lay out a treatment plan based on everything that they know about that particular type of cancer. Treatment may include surgery, radiation, chemotherapy or some combination of the three. Once your loved one has completed treatment, life can start to return to a new-normal. However, the person who had cancer will need to continue visiting doctors for follow-up tests in order to monitor for a recurrence. He or she may also need ongoing therapy to help with any issues with speaking, swallowing or breathing that result from cancer removal surgery or treatment side effects. Some will experience recurrence, which is cancer that comes back after it was eliminated. You can help your loved one to deal with a diagnosis of recurring head and neck cancer if that happens. Others recover almost completely and go on to live a long and happy life that is not very different from the one they had before head and neck cancer. 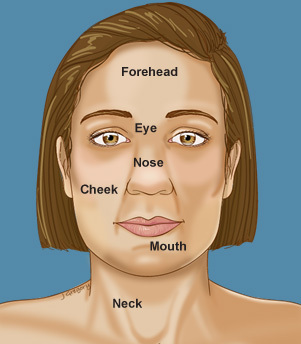 This section reviews information your loved one is likely to be given during the diagnosis of head and neck cancer, which includes the biopsy findings, disease grade and stage. The treatment methods likely to be part of a treatment plan, such as surgery, radiation therapy and chemoradiation therapy, are briefly reviewed. There is an emphasis on recognizing the type of treatment-associated side effects and complications your loved one may experience, based on the type of treatment received. This article explains what to expect after treatment is completed, including dealing with lingering treatment-related side effects. This section discusses remission and what life may be like if cancer is eliminated. This section reviews the likelihood of the cancer coming back and how your loved one can minimize the chances of developing recurrence or a new secondary tumor.